Whether you’re a seasoned professional or just dipping your toes in, San Francisco’s Wine Country is the perfect place to discover the perfect flavor combinations. 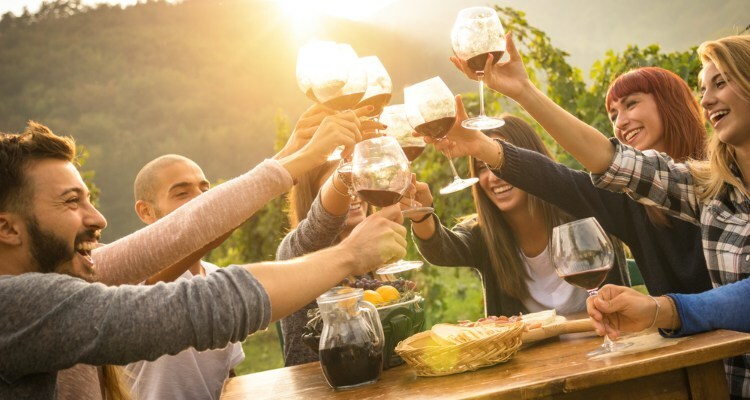 Champion Charter Bus can help you plan the best wine tour personalized to your group, giving you the freedom to explore wineries on your own terms. Just call us at 415-226-7968 to learn more! San Francisco: home to colorful Victorian homes, cable cars, steep hills, and the one-and-only Golden Gate Bridge. But it’s also the golden place to taste of some of the finest wine in the country. With over 600 different wineries to choose from, planning the perfect wine tour can be quite a task, especially with a larger group. Which wineries will you choose? How will you get to each of them? There’s no easy way to visit all of them in just a few days’ visit. That’s why we’ve searched far and wide to compile a list of our clients’ favorite stops. Champion Charter Bus is the master of group transportation all across California, especially in Wine Country. With a comfortable, private charter bus rental to transport your group around, there’s nothing stopping you from your wine tasting dreams. Planning any other San Francisco trips? We’ve got the expertise to help you explore the best of the Bay Area to its fullest potential, and we’ve got a 24/7 reservation staff on standby at 1-844-693-9330 to help you at any time. If you’re traveling with a large group, San Francisco’s public transportation, rideshare apps, or car rentals aren’t the best way to efficiently travel together. You’ll find yourself stressing over keeping everyone together and on time without spending a fortune. San Francisco’s wine scene offers plenty of options with wine tour companies offering pre-set tours on their own buses. Yet, your group will end up riding with complete strangers and following predetermined routes that take you to only a few wineries, making you miss out on so many possibilities. When you work with a company like Champion Charter Bus, you’re given complete freedom over your wine adventure in a completely private minibus or coach bus rental fit for your group’s specific needs. Plan which wineries you want to visit and how long you want to stay at each one, and if you decide to purchase any goodies, your bus’s luggage bays will safely store them as you explore more destinations. With air conditioning, comfortable reclining seats, and other premium amenities, you’ll fall in love with your favorite wine and arrive back to your hotel safely without worrying about transportation. This working winery also offers an industrial event space with an old-time feel. With a tasting room that serves flights, trivia nights, and a great atmosphere, it’s the perfect place to fall in love with a new favorite wine. Even though this winery is only open on the weekends, you don’t want to miss out on great wine and tasty food. Plus, it’s dog-friendly-- who doesn’t want to hang out with cute pooches while drinking some of San Francisco’s finest wine? Eristavi Winery brings Georgian roots to the city with a wide selection of different wines. Tracing back to over 100 years, they create their wine using old-world winemaking techniques combined with modern technology for a completely unique tasting experience. Secluded on the historic, man-made Treasure Island, the Fat Grape Winery features sulfite-free wines full of flavor and love. Enjoy your favorite wines while learning about the history of the naval island. Wine is always better with a beautiful view, and you’ll find that easily at Sol Rouge Winery. Elevated at over 1800 feet, the 80-acre family estate offers 12 different wines that focus on grape varietals of the Sither France region. This urban winery offers more than just tastings.-- there are also amazing food and winemaking classes for an unforgettable experience. It also doubles as a beautiful event for weddings, corporate events, and more. If the beautiful chateau’s history doesn’t make you fall in love, then maybe the wine will. Taste wine from one of the most historic chateaus in Napa Valley, just a few blocks away in Union Square. Breathtaking scenery, a knowledgeable staff, and fantastic wine right in Napa Valley: what more could you ask for? Enjoy world-class wines in a more private atmosphere, and maybe pick up a bottle or two on your way home. 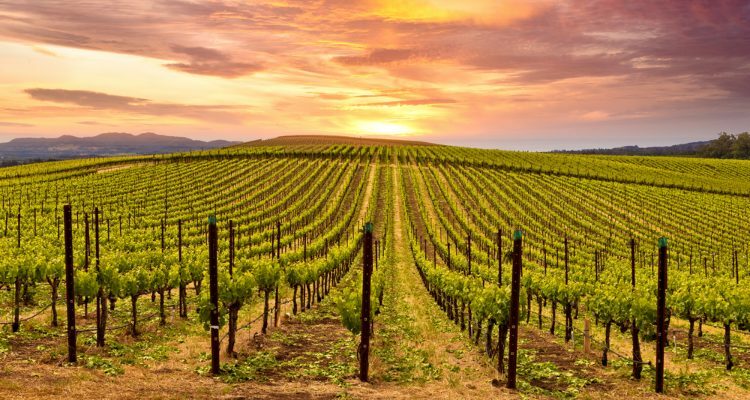 Small, personal, and pet-friendly, Piña Napa Valley is dedicated to crafting the perfect Cabernet Sauvignon. Not a fan of red wine? You’ll still enjoy the outstanding service and gorgeous views. This 13th-century-styled winery provides guests an amazing experience with a guided tour of the beautiful castles and tastings of their Italian-inspired wines. Although this winery tends to be more touristy, it’s definitely worth a visit. You can find the Robert Mondavi brands in stores all across the country, and if you’re a fan, then you’ll want to stop by their popular winery. The winery also features a beautiful outdoor seating area, a perfect place to watch the scenery as you sip your favorite wine. Looking for a guided tour with a historic atmosphere and beautiful views? The Hess Collection offers a rich history along with vintage wines for a memorable experience. Gorgeous views anda choice of four different wine tours? Sign us up! Far Niente Winery provides the ultimate winery experience in their historic tri-level winery. Looking for something different? With “No Wimpy Wines Allowed” standing bold and tall, Ravenswood Winery brings a twist to traditional wineries. Sign up for your own private wine tour, or attend one of their fun events. Buena Vista Winery is a circa-1857 landmark full of historic buildings, formal gardens, and picnic spots to enjoy while you taste their fine selection of wines. As California’s oldest continuously family-owned winery, this winery offers a classic atmosphere with generations of traditions and winemaking. The current owner is 6th generation to the original founder. This rustic farm overlooks the southwestern end of Sonoma Valley and San Pablo Bay. Founded in 1953, the vineyard was originally inspired by Pinot Noir and Chardonnay, giving wine lovers the chance to really dive into deep flavors. This winery has stood tall since 1904, giving visitors a historic venue to admire while they taste more than 100 years of tradition right in the heart of Sonoma Valley. It’s the perfect stop if you’re looking for a lively and fun environment. The Benziger family has been making wine for over 30 years, so you know it’ll be good. This family-oriented winery will show you just how it’s done with certified Biodynamic, organic, and sustainable farming methods. Looking for a country excursion? Deerfield Ranch Winery’s tasting room sits in the center of their 23,000 square foot wine cave, giving you a complete serene and secluded atmosphere that’s hard to find in California. 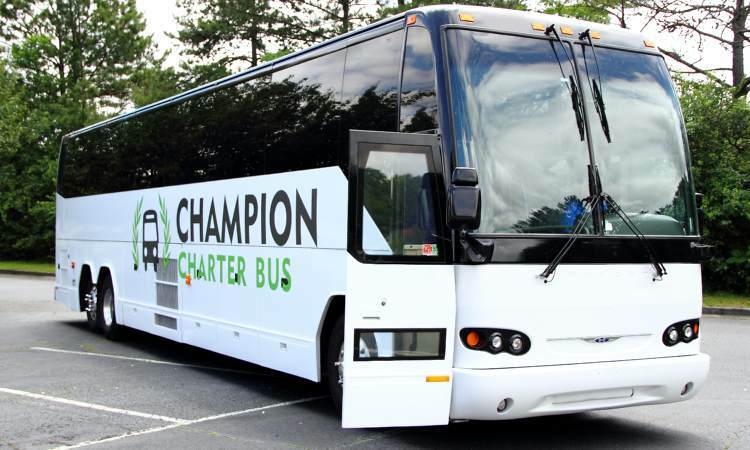 With Champion Charter Bus, your winery tour experience is all up to you. With a background in planning the right transportation for all kinds of trips, from weddings and corporate events to school field trips and private vacations, we’ll handle all your transportation needs from beginning to end. Planning any other adventure in California? Champion Charter Bus makes travel easy with services in cities all across the West, like Los Angeles, San Diego, San Jose, Denver, Las Vegas, and more. Call our 24/7 team at 415-226-7968 to get started!